Well cared for home situated on a lovely cul-de-sac offering a beautiful 3 seasons room 2011, & expansive living space. Hardwood floors throughout under carpet. Home ready for next owner to add their personal touches. New FP chimney rebuild, gas FP insert featuring thermostat remote 2006, 50 gal hot water heater, 30 yr architectural roof 2012, newer boiler 06-07, garage doors 2007, 8x10 shed 2011, 24' pool 2012. 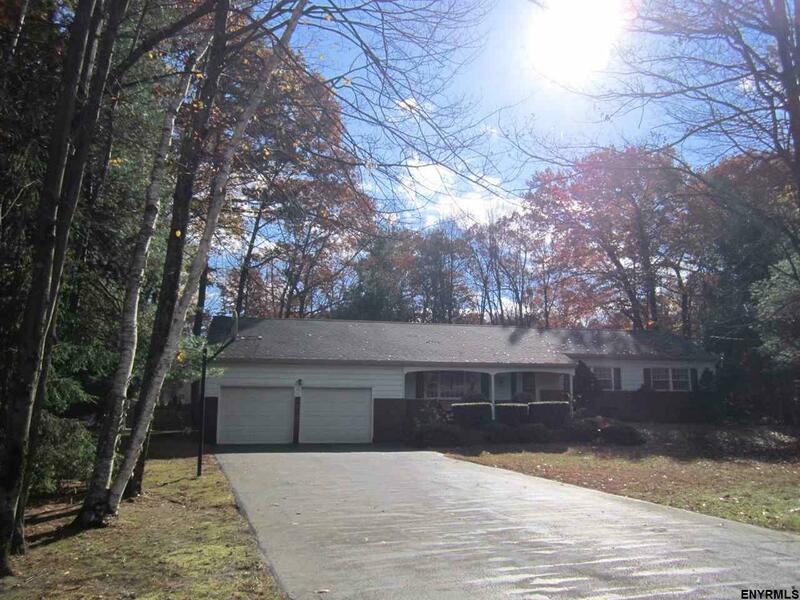 Enjoy all aspects of this home including desirable location, parks, I-87 commute. Agent related.